The development of Zapolyarnoye, discovered back in 1965, started only in 2001. Its capacity stands at 120bn m³/yr with production coming from reservoirs dating from the Cenomanian and Valanginian ages. The Valanginian reservoir production is stable all year long (with 12bn m³/yr produced in 2016, out of 15bn m³/yr capacity); while the Cenomanian reservoir production is very seasonal, allowing it to meet high winter demand in Russia and Europe (64bn m³/yr produced in 2016 for a 105bn m³/yr capacity). Gazprom expects to produce 73bn m³ in 2017 from both those reservoirs. This makes Zapolyarnoye Gazprom’s largest field by production capacity; and the second largest producing field after Urengoi including Achimov layers. Zapolyarnoye production is ahead of Bovanenkovskoye (67bn m³ produced in 2016, compared with 115bn m³/yr capacity). Gazprom is the lowest-cost gas producer and this was again confirmed with the 2017 cost of production and treatment of gas from the Zapolyarnoye field at rubles 1,920/’000 m³ (or $0.9/mn Btu) while Gazprom’s average production cost disclosed during the February 2017 investors presentation is $0.8/mn Btu. The major difference at Zapolyarnoye is the high mineral extraction tax – 66% versus an average of 50% for Gazprom – and the ability of the field to swing from 3bn m³ in May to full capacity – almost 10bn m³ – in December. Unfortunately for Gazprom – the only large player that provides seasonal regulation of gas supply in Russia – this service goes unrewarded. Swing production means that production will be curtailed in summer. Since 2012, Achimgaz, a joint venture between BASF subsidiary Wintershall and Gazprom (50% each) has been producing gas and condensate from Urengoi field, from a deposit dating back from the Achimov age. Achimgaz produced 6bn m³ of gas and 3mn metric tons (mn mt) of condensate in 2016 and hopes to produce 9bn m³ of gas and 4mn mt of condensate from 2019 over a 16-year plateau. Modern technologies were used on this site to be able to produce a deep deposit profitably. Archimgaz earned its shareholders rubles 10bn in 2016. In Novyportovskoye , a recently producing field owned by Gazprom Neft, Schlumberger is providing fracking services. Also, among the five companies that answered Gazprom Neft’s tender was the US company Halliburton. This is possible as Western sanctions do not seek to prevent drilling for conventional oil onshore but only drilling for offshore fields in the Arctic and unconventional (shale) oil developments. During a presentation on European gas markets, Sergei Komlev, Head of Contract Structuring and Pricing Directorate for Gazprom Export, mentioned that 98% of the gas sold in Europe was long-term contracted and that the average contract duration increased from 17 years in 2010 to 18 years in 2016. The pricing of those contracts seems still open for debate between the Gazprom’s view and the IGU’s view but it is interesting to see, that while international oil companies are stating that the duration of their long-term contracts is being reduced, this is not the case for Gazprom Export. July 4: Qatar, which lifted its self-imposed moratorium in April, announced it plans to increase its LNG production from 77mn mt/yr to 100mn mt/yr in the next five to seven years, showing that the country won't let Australia take its LNG crown without a fight. So two out of the three biggest gas resource holders (with low-cost production) have understood that the window of opportunity to monetise their vast resources is closing down, pushing them to revive and fast-track any former production plan before this is too late. On the same day, the US president Donald Trump tweeted: “Gas prices are the lowest in the US in over ten years! I would like to see them go even lower.” Even if it is not clear what Trump meant by “gas” – natural gas or gasoline – he signalled that energy prices in the US should not go up. July 5: Volvo Cars announced that every Volvo it launches from 2019 will have an electric motor, marking the historic end of cars that only have an internal combustion engine and placing electrification at the core of its future business. July 6: the French energy minister confirmed the 50% cap on nuclear by 2025 (with the closure of up to 17 reactors out of the total of 58) and announced the ban on coal-fired power plant by 2022 and on cars running on fossil fuel by 2040. July 7: Tesla won a competitive tender to provide a battery in South Australia to store renewable power and prevent blackouts in the power grid. Upon completion by December 2017, this system will be the largest lithium-ion battery storage project in the world. CEO Elon Musk beat competitors with the promise to build the battery within 100 days or do it for free. The same day, Tesla confirmed that the first consumers of its Model 3 – its most affordable car yet, at $35,000 – will receive their electric car July 28. 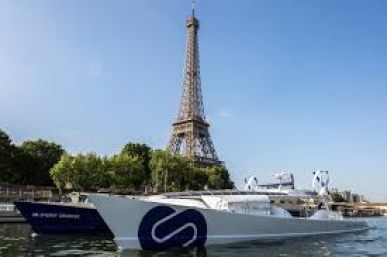 On the same day, the Energy Observer catamaran (pictured below) arrived in Paris before a six-year around the world hydrogen and renewable-powered cruise. In short, what we thought impossible a few days ago, has just happened. By the time consensus gets this, we will definitely be in a low-cost energy world. But what is this week telling us exactly? Renewables are the only long-term solution if we want to combat climate change. Only the US president believes in coal, showing that coal will exit the energy mix fast (very soon in the UK, by 2022 in France and before 2030 in most OECD countries). Batteries are entering the energy chain even if the jury is still out regarding the technology and the cost. If we believe Musk and/or Volvo and/or the new French energy minister (I will give him more credit than the sum of his three predecessors! ), the clock is now ticking for oil in transportation. Mass production of electric cars is around the corner. We are now entering a perfect competition where oil is fighting its last battle with renewables that are getting cheaper by the day (but still intermittent unless the help of still expensive batteries is sought). The only way for oil to gain time is to be cheaper than renewables. Consumers that until now, had to pay a premium for the energy transition should now enjoy the benefit of competition. The consequence for oil producers is the vital need to be as cheap as possible to bring oil products to consumers. For gas, as Trump said, only its low cost will help to foster demand in the coming years. This was confirmed in the recently published International Gas Union Wholesale Gas Price Survey 2017. It said: “Average wholesale prices at the world level were $3.35/mn Btu in 2016 which was the lowest level recorded in all the nine previous surveys”. So, we are definitively entering an energy transition world where low-cost and storage are the key advantages. How does this affect Russia? With one of the lowest costs, Gazprom will continue to be profitable by selling gas in Europe. It might not enjoy an increase in European prices in the foreseeable future but should be able to provide more volumes. 2016 was a record export into Europe with 151bn m³. The first four months of 2017 saw even higher volumes year on year. With major UK storage unavailable, we should need less Russian gas on the Continent for the coming summer months (July - August) as the UK should export record levels to the Continent as seen very recently (June update here; May here and April here). But later, with another reduced cap in Groningen production (21.6bn m³/yr versus 24bn m³/yr previously) beginning in October, we can expect Russian flows to increase to new record levels. Even if Russia is not at the forefront of battery technology the Zapolyarnoye field provides 54bn m³/yr baseload plus the equivalent 25bn m³ of storage capacity and this for $0.9/mn Btu – much less than the storage cost alone, estimated at $1.3/mn Btu in Europe. Gazprom knows that it must pursue this low-cost target as all other expensive producers (mostly the international oil companies have cut costs in the last few years to stay profitable even when prices fell sharply and the two other biggest gas resource holders want to monetise their vast resources while they still can. Innovation is king. Any idea to produce energy more cheaply is welcome, while any idea with the opposite effect should be rejected. Like the aviation industry many years ago, the energy companies have to adapt to a low-cost world. But as energy is a commodity, consumers do not see the difference between a Russian molecule and a British one. So here, even more than in the aviation industry, only price will matter in the end. And the consumers are only interested in the effective price, not in the underlying formula that creates it. In conclusion, it is worth remembering that Europe was – and still is – at the forefront of this energy transition. The EU which fostered the liberalisation of energy markets should make sure that the playing field is level so that anyone may compete on price. 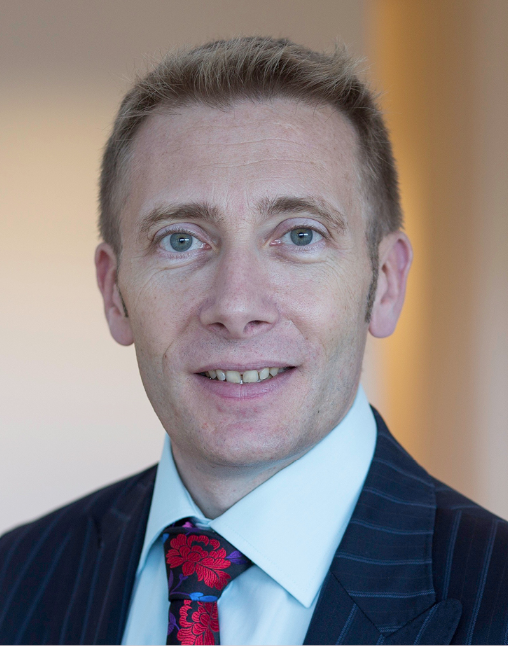 And if, as I believe, we are now fast tracking our low-cost energy transition, then there is little chance that even the biggest gas producer can have a long-term price impact on the upside on the market as this will be an opportunity for locally produced renewable to impose themselves even faster. So, Nord Stream 2 should not be viewed and used by any side as a political tool… If Gazprom and its five European partners believe it can bring seasonal Russian gas at a competitive cost compared with alternative fuels than they should be allowed to take the financial risks, allowing EU consumers to benefit from increased competition. The perceived risk of greater Russian gas dependency in the EU should be offset by the fact that only cheap gas will foster demand and that sanctions do not work! The field was discovered in 1964 and oil production started in 2012. In the last IGU Wholesale Gas Price Survey 2017 Edition, the pricing mechanisms in Europe were mostly split between 66% Gas-to-Gas Competition and 30% Oil Price Escalation.